At the end of The Eternal Tide, a newly resurrected Admiral Kathryn Janeway was offered command of the fleet. As Protectors opens, that offer has been rescinded, pending an exhaustive physical and psychological evaluation. A number of her fellow officers have honest and well-founded doubts about the admiral’s current fitness for command. 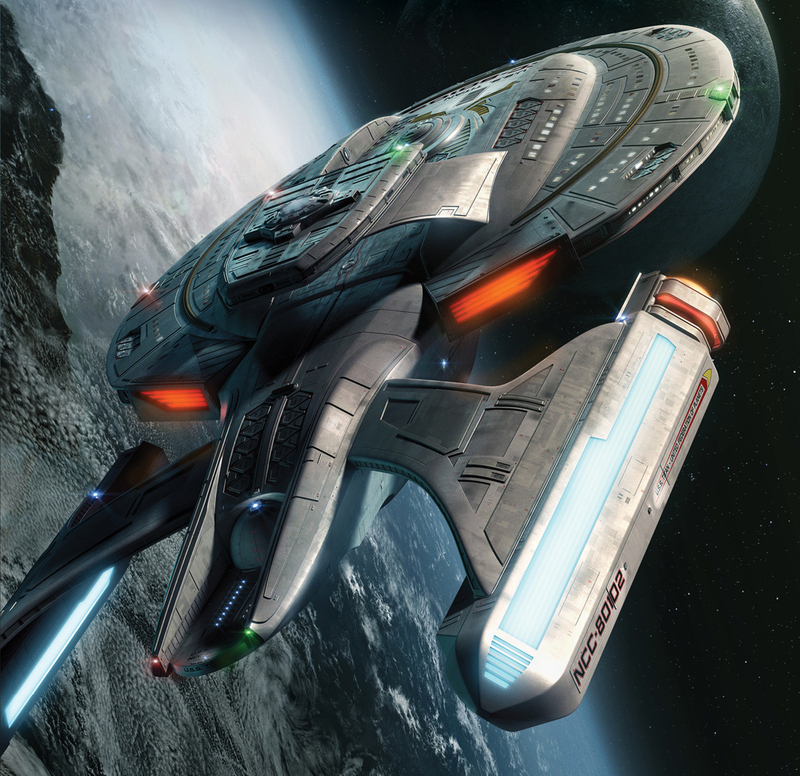 It will be up to Janeway to prove them wrong, or spend the next two-and-a-half years monitoring the fleet’s activities from a desk in San Francisco. Putting those doubts to rest, however, will require the admiral to confront some hard truths and buried fears; ones she’s spent her entire existence refusing to face. Captain Chakotay knows that for the fleet’s explorations to continue, he’s going to have to demonstrate to Command that despite heavy losses, their original mission remains vital to Starfleet’s interests. He pins his hopes on a distress call Voyager received nine years earlier, but was unable to answer. Voyager and Demeter journey thousands of light years beyond any territory charted in the Delta Quadrant, by the Federation or the Borg. The alien technology they discover is mysterious and dangerous, and Chakotay butts heads from the start with Demeter’s captain, Commander Liam O’Donnell. Their investigation yields unexpected results, some, beautiful, some, horrifying. 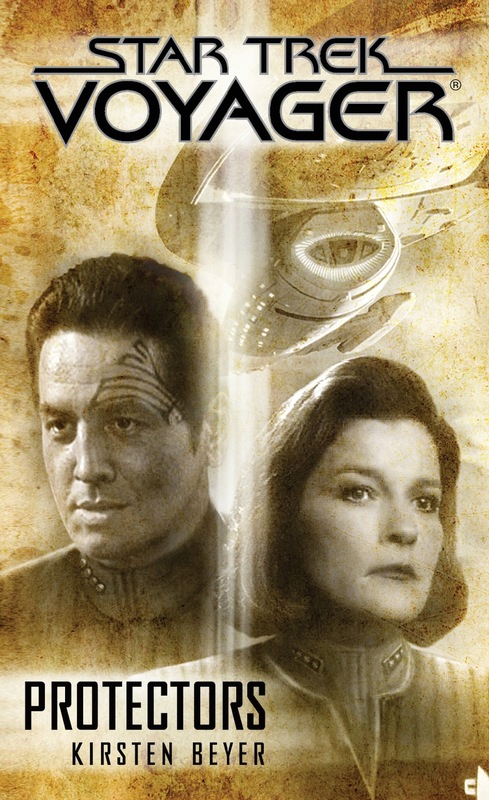 Their quest to save a dying world will lead them to place they could never have imagined, introduce them to a civilization as powerful as their own, and set the stage for an untimely reunion with several species Chakotay sincerely hoped to never encounter again. A remote Starbase in the Beta Quadrant has recovered a single survivor from a vessel they have identified as Caeliar. The Doctor, Voyager’s former EMH, is brought in to confirm this, and learns a great deal more than the true identity of patient “C-1.” While the fleet has been exploring the Delta Quadrant, a new plague has arisen closer to home; one that appears to have been caused by Caeliar catoms. Unless a cure can be found, the body count of sixty-three billion the Borg left in their wake is going to grow. Starfleet believes they already have the best minds in the Federation working to find that cure. They don’t. Nor do they understand the true nature of the threat they are facing.